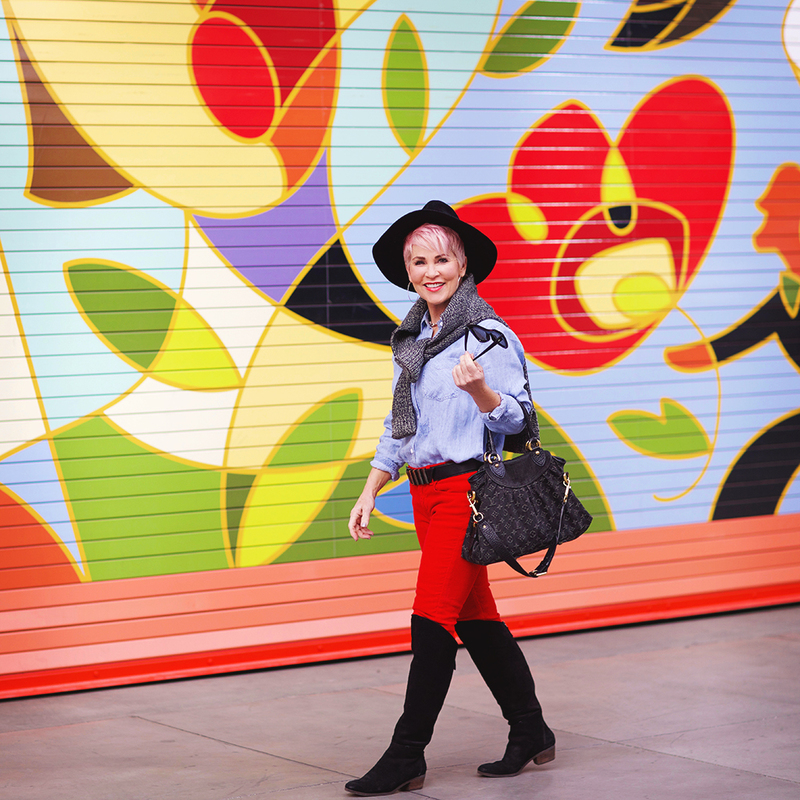 I believe that EVERYONE….well, every girl, should own a pair of RED pants! I think I’ve always had at least one pair in my closet!!! And what better color to have for the month of February and then going in to spring? Yep, they are so happy! There are countless ways to style them either up or down! These cords are from Rag & Bone, and I’ve had them for probably 5-8 years! The only thing I don’t like about these, is there’s no stretch in them. But they fit me well, it’s the perfect color of red, and I LOVE Rag & Bone! Pair them with leopard booties, or any animal print for that matter! What about this same shirt but a black heel and a black blazer? And stripes?!!! Oh yes, ALWAYS stripes! If I were to put plaid with them, I would have it be a black, gray, navy, or white plaid….like this Madewell shirt! It’s on sale and under $60!!! They would be adorable with white Converse! A camel color goes so beautifully with red too, either a sweater, shoes, a bag or scarf. Everything is linked here or similar I should say. These LOW heeled over-the-knee boots are so comfortable and both pair I’ve got here are on sale. This is a great time to buy boots, and these are a classic and will never go out of style! My lipstick here is just a lipliner, (NARS Holy Red) with a colored lip balm over the top! This lip balm is THE BEST to wear with a red lip!!!! Sometimes reds can be a little drying, and this over the top of a liner gives you the perfect moisture….I know I hate that word MOIST! It’s clean with no bleeding!!!!! I’ve used it for YEARS!!!! It comes in different shades too, my shade is Sassy Scarlet. I just love your style, it’s a mix of boho without being pretentious about it, I love red, along with black, and brown are my go-to colors. I especially love that blouse, I just love the glorious pattern in the blouse. Lol, I really need to change my glasses, because I mistook the background for the shirt. It’s still a cute shirt though!